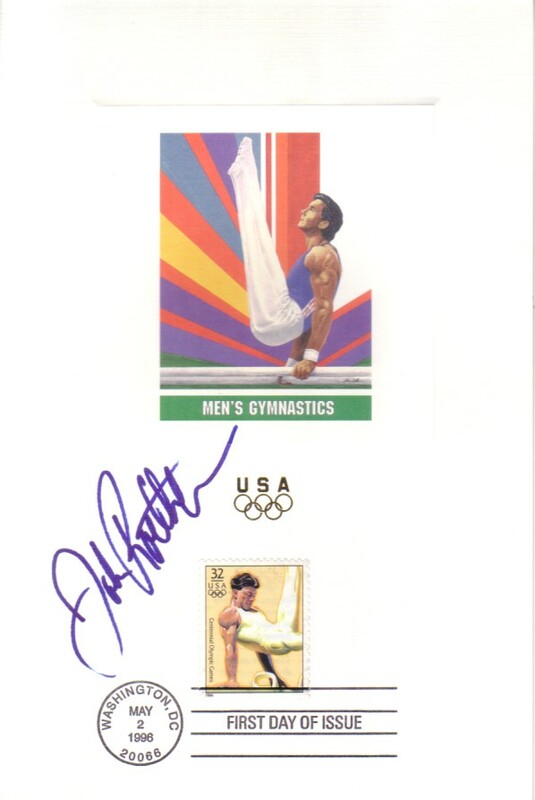 6x9 inch 1996 Olympic Men's Cycling USPS First Day of Issue souvenir card sheet autographed in blue marker by three-time U.S. Olympic gymnast John Roethlisberger. Obtained in person. With certificate of authenticity from AutographsForSale.com. ONLY ONE AVAILABLE FOR SALE.